Hands-On AutoCAD LT teaches the AutoCAD LT software using short, interesting projects that will capture and hold student attention. 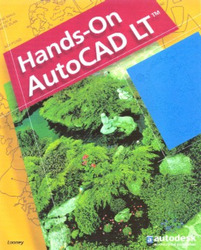 Hands-On AutoCAD LT meets the National CAD Standards developed by NACFAM. Comprehensive, basic CAD textbook teaches the use of AutoCAD software using short, interesting projects that will hold student's interest and attention. Covers 2D drawing only. Each chapter includes an interesting, real-world project in which students practice the skills taught in the chapter in context. Using CAD in context of real projects helps students understand how CAD applies to a variety of real career or job scenarios.